Somerset Painting & Professional Home Improvements, Inc. Comment: Install electric gate opener. I have iron Dual gate looking to put electrical opener inward from the driveway. Comment: Sectional roll up garage door wonât rool up. Repair Needs: Broken springs (door will not go up), Cable off the drums, Door damaged, broken, dented, etc. 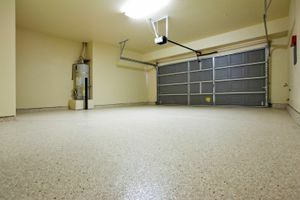 Comment: The garage is old, the cable is not attached, the door has some dents but those are bendable, the garage door just cant go up and down because it is not connected. Pappas Painting & Home Improvement, Inc.
Detroit Garage & Garage Door Services are rated 4.81 out of 5 based on 2,814 reviews of 67 pros. Not Looking for Garage & Garage Doors Contractors in Detroit, MI?